Shawna Burch, 25 and Benjamin Carr, 23 have both been charged with two counts of armed robbery. 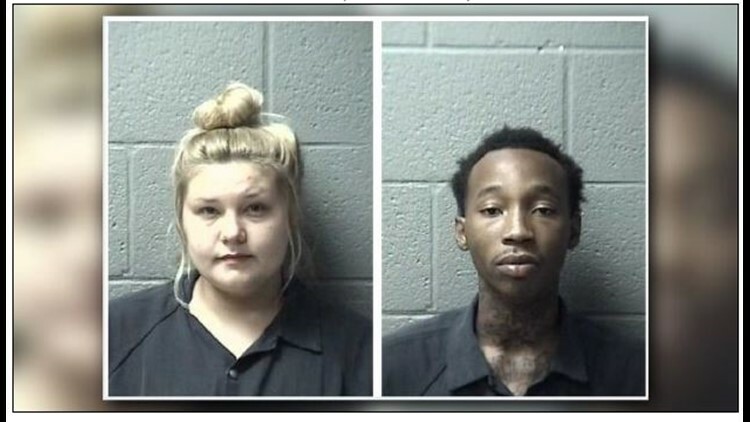 Orangeburg, SC (WLTX) Two suspects have been arrested and charged with an armed robbery that took place early Sunday morning and police are looking for two more. This began when two Orangeburg men believed they were going to a party at an apartment complex. When they arrived Burch and Carr and two other men robbed them of $500 and some personal items. The two men were then taken in their own car by the gunmen and forced to drive to North, SC where one of the men was ordered to open a business where he worked. The robbers are accused of shooting that man, while the other man was able to elude his kidnappers and escape. That victim that was shot is currently in stable condition at the hospital. During a hearing Burch's bond was set on her armed robbery charges at $10,000. Carr made his bond appearance today, he was also charged with attempted murder and kidnapping and his bond was deferred for consideration by a circuit court judge at a later date. If you have any information about this crime or think you might know who or where the other two suspects might be you are encouraged to call CrimeStoppers at 1-888-CrimeSC.